You were smokin', dude, even in your 60s. And you were apparently a good and decent man who stayed married to the same woman for 63 years and contributed to his community. I'm going to have to go by the Ricardo Montalbán Theatre tonight or tomorrow night and pay my respects. He always seemed like a charming and amusing fellow. I especially liked the way he said "Corinthian Leather". "He could NOT get a job"
I saw it on the news earlier. I can't believe Kahn is gone! Loved him in just about everything I ever saw him in. And the original Star Trek episode when Kahn first shows up was on here last weekend. 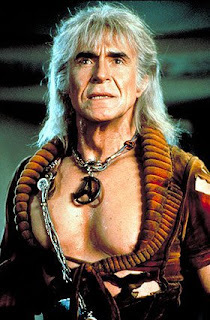 Pretty sure Wrath of Kahn will show up pretty quick on one of the movie channels! Or I may just have to go buy it as a tribure.